Get to know some of the African changemakers who are part of a growing foodie movement in the diaspora. Photo courtesy of Black Foodie. Food is intrinsic to African heritage and customs. Whether it’s fufu, nsima, atkit wot, caldeirada de cabrito à Angolana or rasta pasta, the food of the African diaspora has the power to connect people wherever they are. 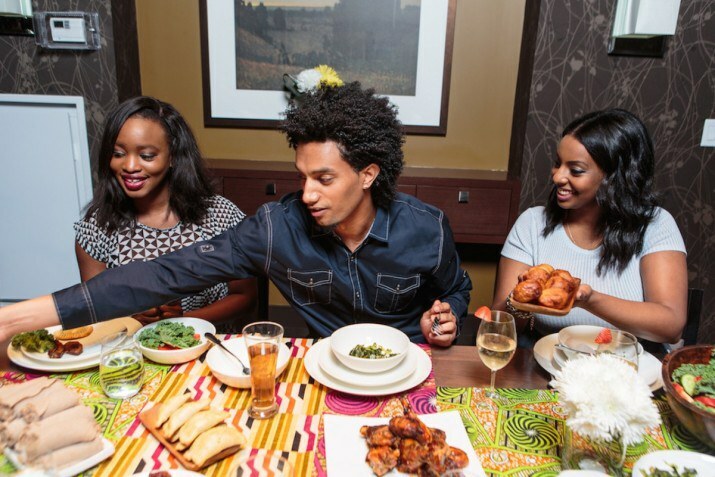 To showcase the diversity of African cuisine, millennial tastemakers are revolutionizing culinary platforms by creating new spaces—for Africans, by Africans—to emphasize and celebrate the recipes, traditions, and cultures of the diaspora. Get to know some of the African changemakers who are part of a growing foodie movement and redefining the African culinary experience. Eden Hagos (center). Source: Instagram. After a racist encounter at an Italian restaurant in Toronto for her birthday, Ethiopian-Canadian Eden Hagos decided to take her unfortunate dining experience and create a platform to celebrate Black-owned restaurants, recipes, and Black chefs in the United States and beyond. Hagos is the founder and creator of Blackfoodie, an online digital platform that explores food and lifestyle through a Black lens and spotlights the best African, Caribbean, and Southern cuisine and foodie experiences. Uncovering stories, traditions, culture and flavors of the African diaspora, Blackfoodie is a culinary resource for tips on recipes, foodie events such a brunch, dinner parties, restaurant openings, festivals in your area and more. Whether it is featuring Chef Roble’s chicken doro wat deviled eggs recipe, how to make the popular Nigerian breakfast staple, akara and getting the details on the top five Black-owned restaurants in Detroit, Blackfoodie is the ultimate guide to flavor within the community. 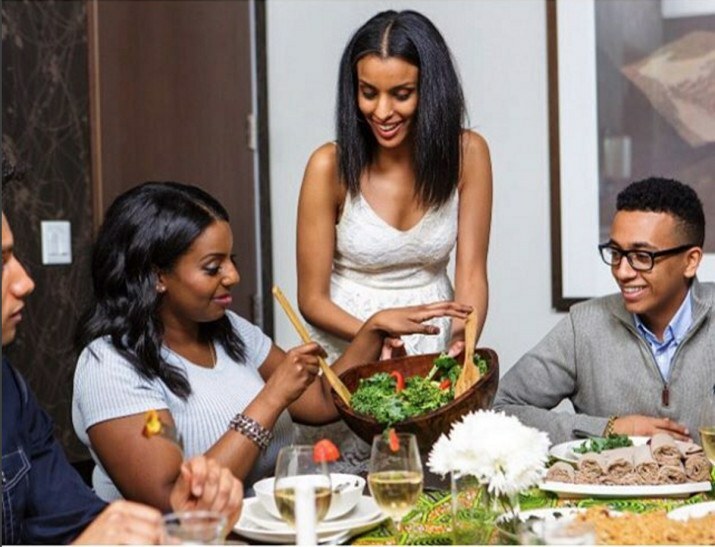 With “Injera + Chill” pop-ups in Toronto and London; covering an Ethiopian buffets and weddings; and creating the hashtag #DiningWhileBlack so that other Black millennials can share their racist, foodie experiences, this platform is a growing movement to engage, reinvigorate and redefine how food, fashion, and fun in the Pan-African context connect and collide. Tolu Erogbogbo. Photo courtesy of Cookie Jar. 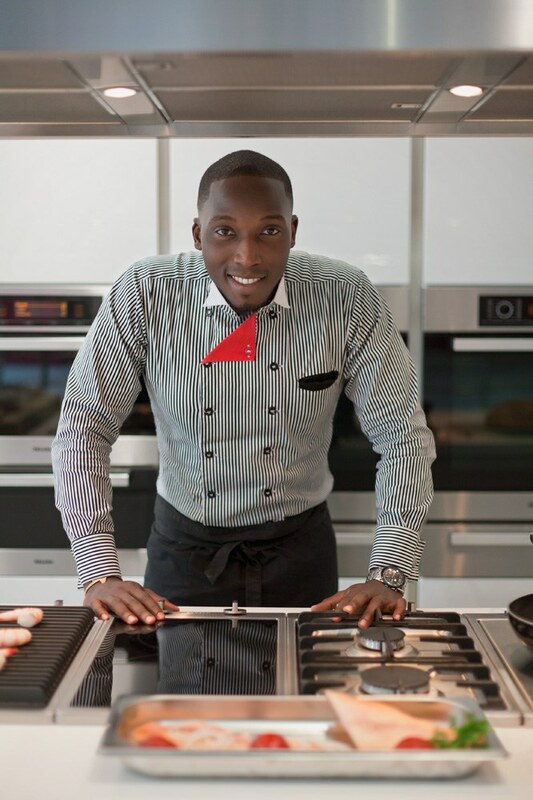 Tolu Erogbogbo aka Chef Eros is bringing all the flavor and love to the Nigerian foodie scene—literally and figuratively. Specializing in fine dining and catering, Eros is the founder of Cookie Jar, a fine bakery that produces gourmet cookies, cupcakes, cakes, and Parisian inspired desserts. Infusing the finest ingredients sourced locally and from around the world, Cookie Jar grew to become a household name that delivers the best tasting desserts in Nigeria including dripping chocolate cream cakes, Belgian chocolate, cappuccino cupcookies and cookiepops, and dulce bannoffee pie, which is a delicious whipped cream layered pie, topped with demerara caramelized bananas on a crust of Madagascan vanilla cookie crumble, and is finished with Belgian milk chocolate ganache and chopped white chocolate. Applying unconventional techniques to baking, Chef Eros was featured on CNN for his flavorful and fanciful confectionaries and has cooked for some of the world’s biggest names, such as Lauryn Hill. 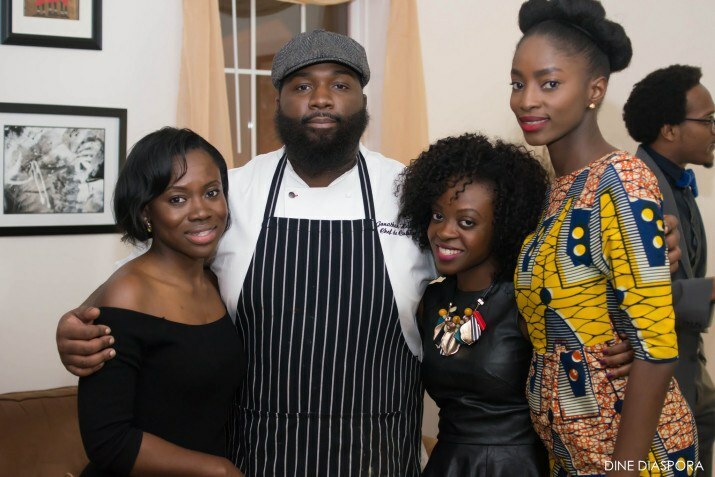 Maame Boakye, Chef Jonathan Harris, Nina Oduro and Nana Ama Afari-Dwamena. Photo courtesy of Catherine Rae Photography. Creating culturally designed culinary experiences connecting leaders and game changers from the diaspora, Dine Diaspora—a contemporary lifestyle and events company—deviates from the typical D.C. happy hour scene and produces unforgettable Pan-African dining experiences. Gathering an array of change makers from various professional backgrounds, Dine Diaspora is led by a dynamic team of African female game-changers in the District—Maame Boakye, director of event production and talent management, Nana Ama Afari-Dwamena, director of digital communications and community engagement, and Nina Oduro, director of visual design and partnerships. Using the power of the camaraderie, cuisine and conversation, Dine Diaspora spotlights prominent Black chefs and their creative, culinary creations. Some chefs that have been featured include Chef Jonathan Harris, Chef Dadsi Olutosin, and Chef Essie Bartels. With conversations centering on topics such as Pan-Africanism, favorite foods from childhood and how to bridge the gap between African-Americans and Africans, past honorable guests of Dine Diaspora include the Honorable Olubanke King-Akerele, the Former Minister of Foreign Affairs to Liberia, Bryan Monroe, the former vice president and editorial director at EBONY and Jet magazines, and the former Washington Editor of Opinion & Commentary at CNN. Fafa Gilbert. Photo courtesy of Ndudu by Fafa. 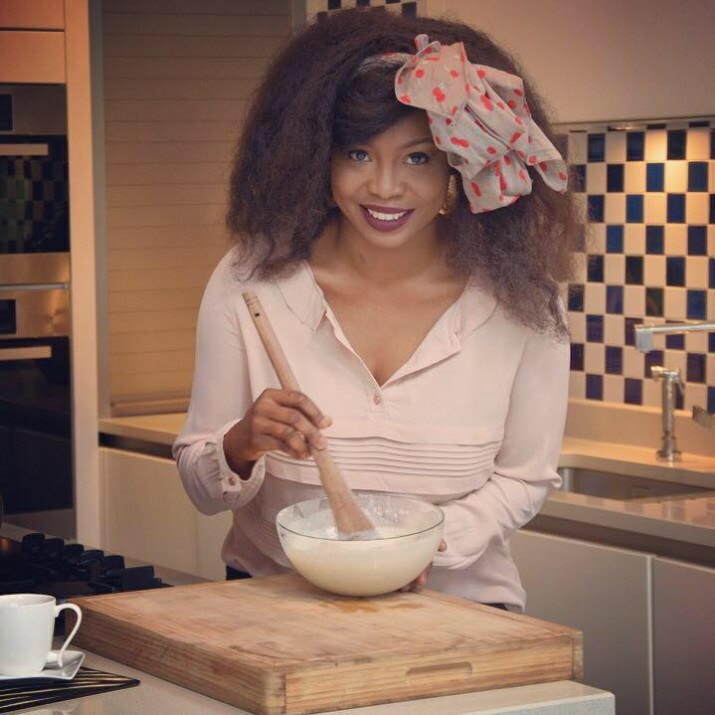 With her diverse culinary recipes including buka jollof with lamb kleftiko; oil free okra and fish soup; or korklui, she also offers cooking lessons to improve home cooking skills, learn about creative cooking for catering businesses, food presentation and styling. Gilbert also has the “Dine with Fafa” series where in a secret location each month, she creates a 4-course creative meal dining experience. Kirk Ward. Photo courtesy of The LaRue Group. Based in Philadelphia, The LaRue Group is a one stop shop for minorities in the world of culinary, beverage, and hospitality. 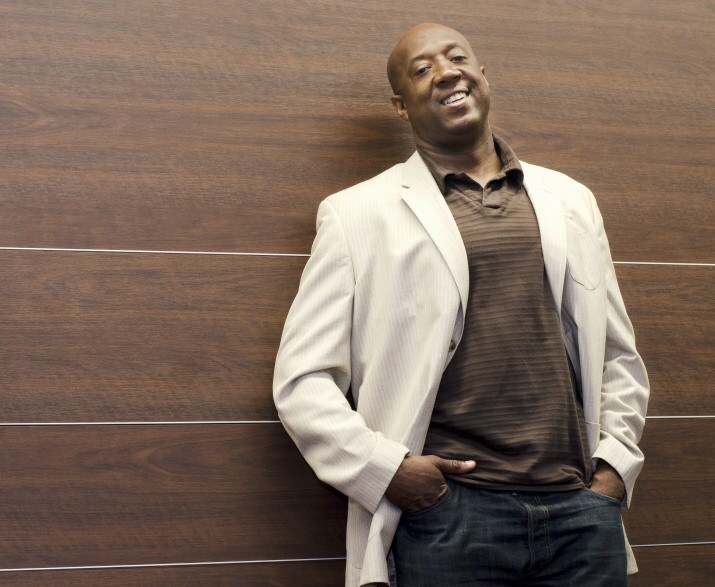 With their goal to include minority chefs, product producers and hospitality professionals into the global conversation, the founder and visionary, Kirk Ward, is quickly becoming the go-to representative for minority chefs in the culinary world. Creating a platform for recognition, brand and marketing coaching, and connecting top culinary talent with those seeking an experience in taste they have never had before, The LaRue Group is the source for the latest in trends, products, services, recipes, classes, and so much more as it pertains to minorities. Producing unique social experiences, The LaRue Group’s marquee event, “The Chef Series Experience,” is a monthly affair giving food connoisseurs the exclusive opportunity to sample signature dishes prepared by the area's most talented minority chefs. Offering cooking classes to the public, some of the chefs on the roster include Chef Joy Parham, Chef Monterray Keys, Chef Naimah Rutling, and Chef Tim Thomas. Jaimee Swift is a journalist, activist and is obsessed with Pan-Africanism and the African Diaspora. You can follow her on Twitter @JaimeeSwift.